Concerns about targeted enforcement against African Americans come after a Florida Times-Union/ProPublica investigation. Jacksonville, Fl. 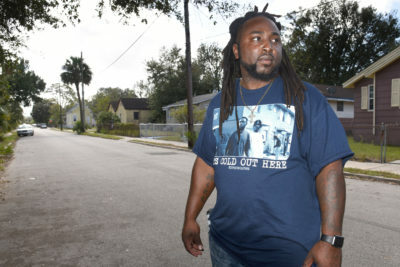 — Several local lawmakers and civil rights organizations have called for the Jacksonville Sheriff’s Office to suspend all pedestrian ticket writing over concerns officers are targeting blacks and other residents of the city’s poorer neighborhoods. Isaiah Rumlin, president of the local chapter of the NAACP, and Reverend Levy Wilcox of the Southern Christian Leadership Conference’s local branch, said in a news release made public Tuesday that while public safety was a great concern, so was the possibility that the sheriff’s office had been discriminating against African Americans by selectively enforcing sometimes obscure pedestrian statutes. 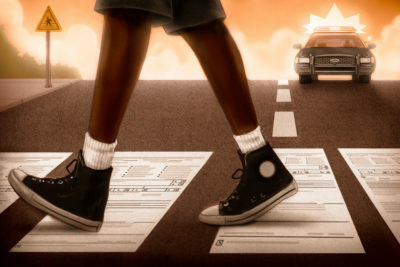 The calls from the civil rights organizations come two weeks after the Times-Union and ProPublica reported that a disproportionate number of the more than 2,200 pedestrian tickets issued from 2012 to 2017 had been given to blacks. Those tickets, issued for everything from jaywalking to walking on the wrong side of the road, can have an impact on people’s driver’s licenses and, if unpaid, their credit ratings. In the last five years, according to an analysis by the Times-Union and ProPublica, blacks received 55 percent of all pedestrian tickets in Jacksonville, while only making up 29 percent of the population. Blacks receive a higher percentage of tickets in Duval County than any other large county in Florida. Blacks in Jacksonville were nearly three times as likely as whites to be ticketed for a pedestrian violation. Residents of the city’s three poorest ZIP codes were about six times as likely to receive a pedestrian citation as those living in the city’s other, more affluent 34 ZIP codes. While the sheriff’s office said tickets were primarily written to help limit deadly accidents in a city with dangerously high numbers of fatal crashes, the analysis showed there is no strong relationship between where tickets are being issued and where pedestrians are being killed. Williams said last month that there was no effort to target African Americans, and his office argued that the racial breakdown of those receiving tickets was merely a reflection of who was committing the violations. The sheriff’s office also said the tickets could be a useful tool for fighting crime. Stopping people for pedestrian violations, the office said, gave officers probable cause to question and sometimes search individuals suspected of having drugs or weapons. “The numbers don’t lie,” Frazier said. Frazier said he had sent a letter to Mayor Lenny Curry expressing the same concern. Curry responded to the letter with an email saying he was confident Williams had seen the analysis and would take any action necessary. City Councilman Reggie Brown said Tuesday that he and state Rep. Kim Daniels had met with the sheriff shortly after the ticket analysis was published. Daniels is interested in pursuing legislation that would require warnings be issued before any ticket is written, according to Brown. Brown said Daniels also wanted to review policies governing the suspension of driver’s licenses. 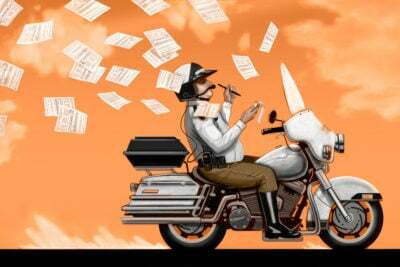 Pedestrian tickets, both paid and unpaid, can lead to penalties on one’s license. The Times-Union/ProPublica analysis showed hundreds of tickets for failing to cross the street in a crosswalk were given in error. It is possible officers simply didn’t understand the applicable statute. Williams told the Times-Union and ProPublica that he had asked the local state attorney to give his office guidance on the proper enforcement of the statute. Both the sheriff and the mayor have said the primary goal of the tickets is saving lives. However, despite a sustained effort at enforcing pedestrian statutes, the number of pedestrians killed each year in Jacksonville has gone up. Williams appeared before a city council committee on Monday, and sought to reassure lawmakers that African Americans were not being targeted. A truck driver, a mother, a lawyer and a number of young men offer their accounts of walking while black. Still, two members of the city council, Brown and Garrett Dennis, said in the news release Tuesday that they supported the idea of suspending the writing of pedestrian tickets until the issue of disproportionate enforcement against African Americans had been addressed. Correction, Dec. 5, 2017: An earlier version of this article mistakenly attributed city councilman Reggie Brown’s description of his meeting with Sheriff Mike Williams and state Rep. Kim Daniels to a news release issued by a group of local civil rights organizations. However Brown said the article accurately reflected the meeting.